What are the Calories Needed to Lose Weight? 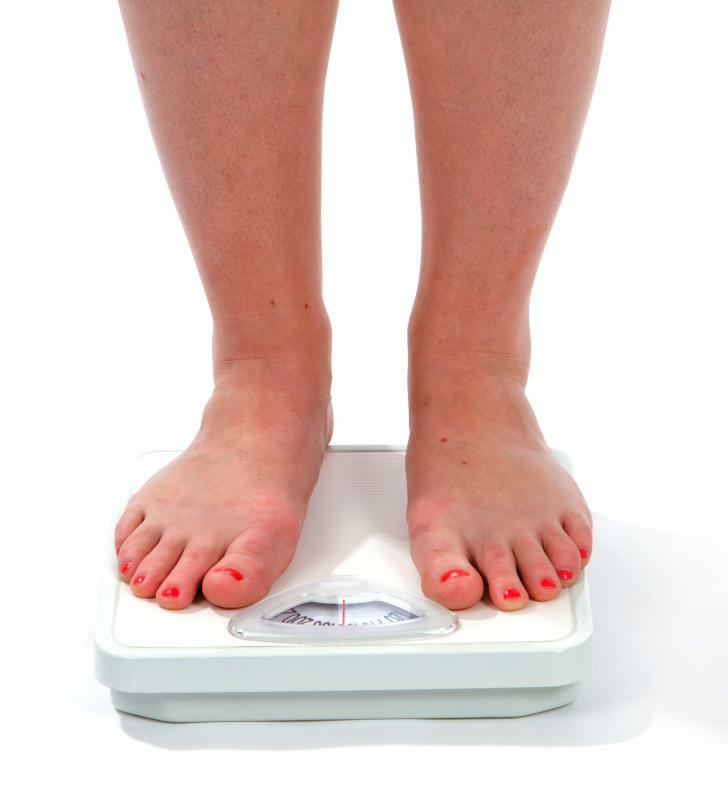 A dieter losing more than 2 pounds a week might need to increase caloric intake. The calories needed to lose weight are very variable, and giving a set number here would be inappropriate because it wouldn’t accurately describe your personal calorie intake and needs. Usually, you need to take in fewer calories than your body actually uses in order to lose weight. This means if you don’t choose to increase activity levels, but you’re currently maintaining the same weight, you could cut calories by about 50-100 a day and technically lose about a pound a week. However, when most people are dieting, they also increase exercise, which means they may be burning more calories than they have in the past. Decreasing calories too much could result in the body’s metabolism slowing down, or rapid weight loss that won’t be sustained once you stop dieting. It’s a complicated issue when you consider calories needed to lose weight, since your body may use calories more quickly or more slowly than other people. Another issue occurs when you start to lose weight and exercise. If you get cardiovascular exercise, after you’re finished exercising, you may burn calories at an accelerated rate for several hours. Your usual burn rate may thus be increased, allowing you to consume slightly more calories and still lose weight. This means calories needed to lose weight can be higher than average since your body is now consuming more calories or consuming them more quickly. Counting calories can be tough business, and it may be easier to look at your weight patterns over the first few weeks of dieting to determine whether you should eat less, exercise more or a combination of both. Consider the calories needed to lose weight as always less than you need, but not excessively low. Use your scale as the best guide for this. If you are losing more than 2 pounds a week, you may need to increase your calories so weight loss is not too dramatic. If the scale isn’t budging, consider eating slightly fewer calories and getting more exercise. Of course if you are eating a greatly reduced calorie diet, say 900-1200 calories a day and your weight remains the same or you gain weight, this suggests that counting calories needed to lose weight may not be an accurate weight loss method. You have a slow metabolism due to things like low thyroid hormone levels, or your metabolism may be sluggish because you’re not eating enough. Consider consulting your doctor for more guidance on how you can lose weight and for any tests that might suggest hormonal deficiencies that need to be corrected in order to attain weight loss. Which Weighs More: the World's Human or Livestock Population? How Do I Lose Weight in a Week? You will have better results in losing weight and exercising if you eat before you exercise. Exercising on an empty stomach will lower blood sugar and in turn increase your appetite later. Personally I find it helpful to write down my daily calorie intake. It is cumbersome, but after a while it becomes a habit. I find it to be the best way to control, and to know exactly how much I am eating.